See my “Impact! Anime Rocks America” presentation .pdf, 1044 KB. See the video & article on a panel with me at NYAF on 2008-09-28 (the Japanamerica panel). Official animation club of the State University of New York at Stony Brook (SUNY-SB) aka Stony Brook University, 100 Nicolls Rd, Stony Brook NY 11794 map on Long Island, +1-631-632-6000; see SUNY-SB directions & SUNY-SB campus maps. is (was?) the anime club of Lehman College in the Bronx. The club meets every Thursday and Friday afternoon while school is in session. This club meets (met?) 19:00–22:00 Thursdays in the Helen and Martin Kimmel Center for Student Life, New York University, 60 Washington Square South (W 4th St) btw La Guardia Pl & Thompson St, New York NY 10012-1019 map. See the web site for a schedule of meetings with specific dates and room numbers. PAS is (was?) considered the sister organization of the Columbia University Anime Club. Many Polytechnic students have anime-related pages. http://pasforum.redirectme.net/ [Gone] formerly redirected to http://s94187492.onlinehome.us/forum/ [Stripped], which was the PAS forum. “ on hiatus until September  ”, is (was?) the anime club of the School of Visual Arts at 209 E 23rd St (at 3rd Ave), New York NY 10010-3901 map, +1-212-592-2000. In Campbell Hall, College Avenue Campus, Rutgers University, 629 George St, New Brunswick NJ 08901 map (see Rutgers New Brunswick campus directions). AnimeJutsu A project by Gordon of Anime Game Tech, AnimeJutsu is a social site for anime fans, mostly devoted to photo sharing. Fans can set up their own galleries and upload photos here. Includes photos from AnimeNEXT 2006, AnimeNEXT 2007, MangaNEXT 2007, Cosplay Day at Kinokuniya (2008-08-17), and more. ConPix is my massive site of pictures taken at anime conventions and other anime-fan-related events. 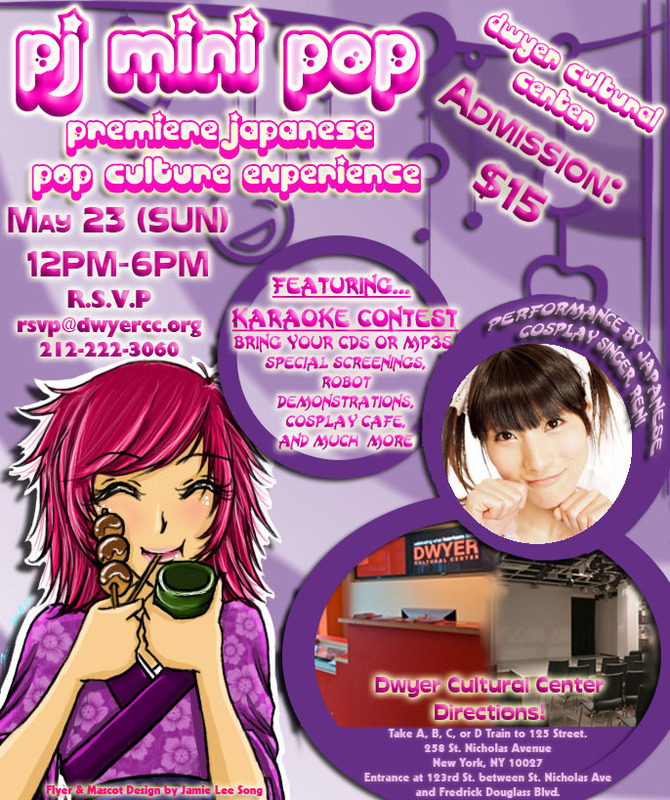 NYC area content includes MALL (Metro Anime Lending Library) Party 1999, Sakura Matsuri Brooklyn 2000, Shoujocon 2000, & Matsuri on 47th Street 2000. Fan’s View (Kevin Lillard) Kevin Lillard’s pictures and reports on anime conventions, including NYC area conventions AnimeNEXT 2002, 2004, 2005, & 2006, & the New York Anime Festival (NYAF) 2007. GD Employee GD Employee is Dan, member of the Metro Anime club. Ifurita Oni Ifurita Oni is Bree, member of the Metro Anime club. Ng-Master Ng-Master is David Ng. Fine list of Japanese grocery stores in the New York Area by the Consulate General of Japan in New York. The number-one area store for used manga. Manhattan: 49 W 45th St (btw 5th & 6th Ave), New York NY 10036 map, +1-212-685-1410. Westchester: 1-15 N Central Ave at Hartsdale Ave, Hartsdale NY 10530 map, +1-914-683-5440. One of many stores (mostly without web sites) in Chinatown that sell anime videos and music. A comic book store that sells manga. Sells toys, many inspired by anime. Say, What Chu Looking At? In Japanese legend, the hero Momotarō (“Peach Boy”), with his animal allies, goes to the island of the oni (horned demons or ogres) and defeats them. In this wartime animated retelling, Momotarō and the animals ride in warships and planes, the oni (still horned) are American sailors, and their island base is Pearl Harbor. 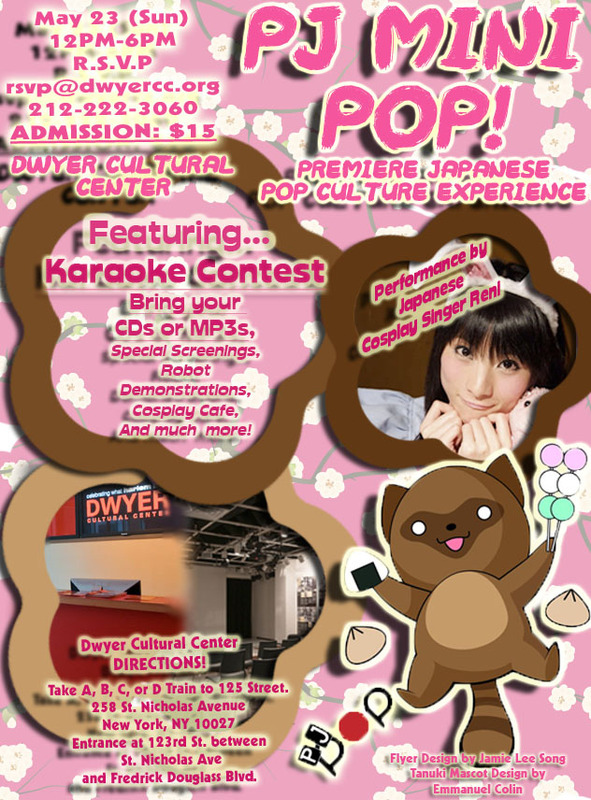 With performances by cosplay singer Reni. Now downloadable: “Impact! Anime Rocks America” .pdf, 1044 KB. Was a good, reasonably-priced one-person New York City-based online shop for anime-related merchandise: idol cards, pencil boards, pins, models, etc. This page (now gone) refered only to the 2001 event; have there been any since?